Hello, I’m Carrie Thomas, and I would like to introduce you to Touchwood, where I offer personal sessions, as well as workshops, courses, and talks in self-development and healing. Are you looking to develop your spiritual awareness, clear blockages and heal your mind, body, soul, and life? Or do you want flower essences, smudge-sticks or access to spiritual books? Then this is the site for you. I work from Touchwood, here in Swansea, by phone or Skype or at your venue including party-plan. I am a complementary therapist, offering intuitive healing, Theta DNA healing, psychic counselling and clairvoyant readings. These may be carried out by phone or as personal sessions here in Swansea. 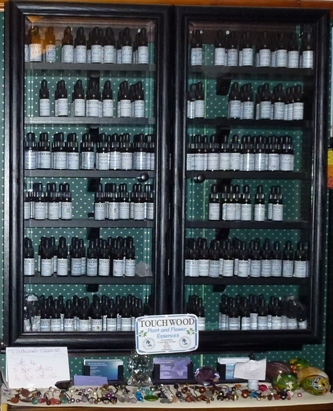 I may use Touchwood Flower Essences™ as part of the healing or rebalancing procedure. 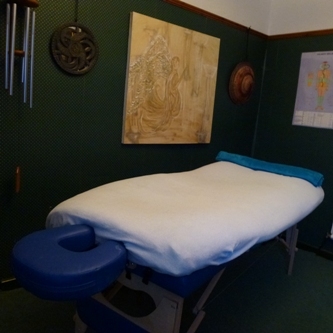 I also offer healing through Polarity Therapy, Reiki or the Bowen Technique. For a special treat, choose a beautiful Lomi Lomi massage. Are you familiar with 'Loving what is' or ‘The Work’: Byron Katie’s simple yet profound method for dealing with stressful thoughts. Facilitation of individual sessions may be carried out by phone or in person. Coming soon: Shamanic healing including power (animal) retrieval, extraction, soul retrieval, depossession, and more. Local party-plan sessions are £15 each, and during autumn and winter I offer clairvoyance, psychic counselling or intuitive healing taster sessions at £15 for 20 minutes, either at Touchwood or by phone. At the end of the session you can choose whether to continue for a full session or not. This is a GREAT way to experience a personal session and find out exactly how I work at minimal cost to yourself. You'll be pleased at how much we can accomplish in just 20 minutes! All sessions include a full aura scan and channelled information on what I'm seeing, as well as help and or insight into any 'blockages' seen. WANT TO KNOW WHAT'S ON? WHAT'S NEW? SPECIAL OFFERS? If you would like to be advised of upcoming events, workshops, articles, or anything new, please e-mail me and I'll be happy to add you to my mailing list. 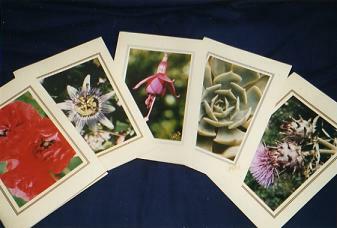 Even easier, and with more offers is my Facebook page: Touchwood Spirit, do join. Carrie is one of the authors of the 'Pearls of Wisdom' book. 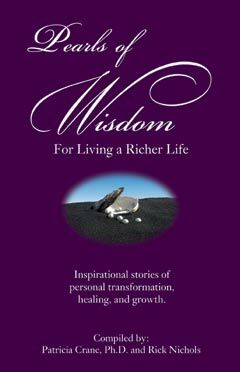 Pearls of Wisdom For Living a Richer Life is a 240 page anthology of authors who acquired a bit of grit along the road of life which became lodged deep within. At first, for many, it was was very painful. Over time they worked to polish, round, and cover it with layer upon layer of love, compassion, and forgiveness. Much as an oyster works a grain of sand into a pearl, these authors have transformed their grit into valuable pearls of wisdom. Click here to dip into the book! Workshops Let your spirit move you! Create yourself anew. Listen to your heart’s desire. Open your mind to fresh understandings. Let go of blockages and old beliefs and so transform your life. Meditations, visualisations, powerful exercises and techniques to create an even more wonderful you. Most workshops are held locally, as I live in <?xml:namespace prefix = st1 ns = "urn:schemas-microsoft-com:office:smarttags" /> Swansea in the lovely Clyne Valley Country Park, near to the wonderful Gower coast. Swansea is easy to reach by road, rail and coach, and local bed & breakfast establishments abound. I am willing to facilitate courses elsewhere if you organise venue and participants. Tamper-evident 10ml essences including 'Just for You' bespoke blends. Library Is this the best spiritual library in South Wales? Or even further afield? 100s of titles to choose from. Polarity exercises Squat your way to health! These photos will show you how to help yourself for a wide range of benefits. 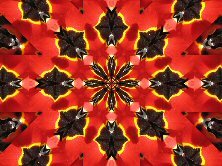 Visualisations Visualisations are a powerful way to enter the world of your subconscious to cleanse, clear, empower and heal. Want a quick refresh? Or a longer time to cleanse and clear your mind and spirit? How about resting in the hands of God? Or clear, rebalance and charge your chakras with a meditation using these wonderful pictures that are also available as a set for you to download. Gifts: Something different, something beautiful! Please let me know of any mistakes, confusions or frustrations you encountered...I like to rectify anything I can!